which are particularly helpful for relieving back spasms. Some examples include cyclobenzaprine and carisoprodol. Steroids, which are anti-inflammatory drugs, might be prescribed for short periods of time. Another option is narcotic painkillers, such as oxycodone, hydrocodone, and codeine. Patients should carefully review the potential side effects with their physicians before taking any prescription medications. 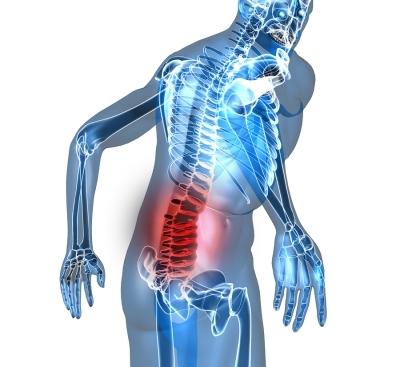 Some individuals with back pain can benefit from injected medications. Steroid injections can deliver the medication directly to the area where the pain originates, which means they may sometimes be more effective than oral medications. Additionally, an orthopedic surgeon can use injections to inform the diagnosis. For example, if a numbing medication is injected into the facet joint and the patient experiences relief of pain, it is likely that a problem with this structure is the source of the problem. If oral medications and injections aren’t enough, patients might consider spinal cord stimulation. This involves the transmission of electric impulses to relieve chronic pain. The spine specialist will insert an epidural needle into the space around the spinal cord. One or more insulated wire leads are placed through the needle. These leads are then connected to an external trial stimulator. The patient will go about his or her typical routine for a week to determine if electric stimulation is helping. If so, the patient might opt for permanent implantation of the leads. Permanent implantation can be performed under sedation; however, some patients may prefer general anesthesia.